Happy New Year to everyone from all of us at ADOA! We would like to thank all in attendance at last night’s meeting, we had a wonderful turn out! In addition to those working with ADOA, we would also like to thank Richard Khuzami, of Community Board 1 and president of the Old Astoria Neighborhood Association, for taking the time out of his busy schedule to meet with us and share some exciting news from his group. A new dog run in Astoria has made the short list of projects on the parks committee’s list. We should know sometime in February whether the proposal will make it on the PB Ballot for voting in April, 2015. If it does make the ballot, you will be seeing a lot more of us as we campaign for the initiative (please keep an eye out for details on how to get involved!). If not, ADOA will be determining new avenues to pursue in order to secure funding for our project. The Old Astoria Neighborhood Association was formed to help address the issues facing the waterfront community in Astoria, and has been working towards improving the quality of life of Astoria’s residents and business owners. The group is presently in the process of securing 501c3 [non-profit] status. We have been in talks with the organization about how our groups can work together and provide mutual support towards furthering each of our missions. We are incredibly grateful for all the assistance we have received from them throughout the process of trying to get this park built. 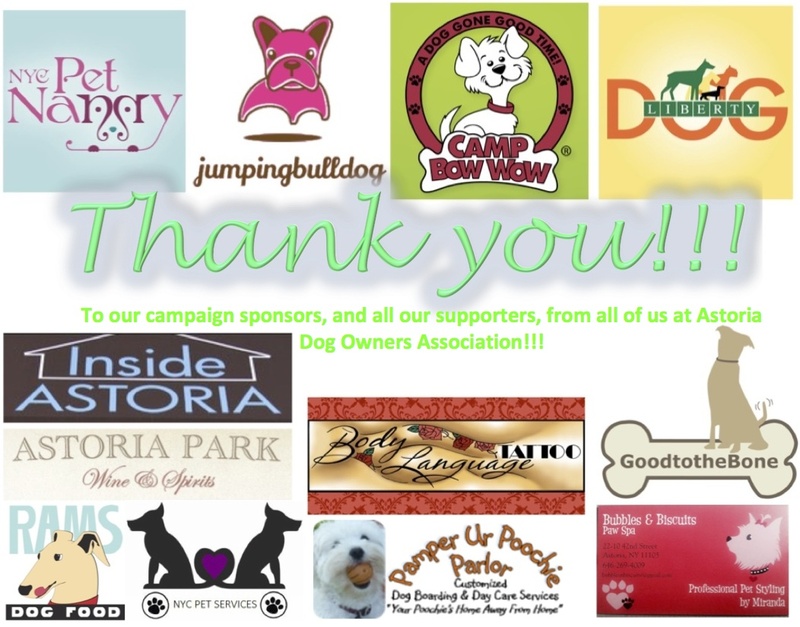 Late last year, Old Astoria agreed to be the non-profit sponsor for our organization, which is a required step for Parks Department approval of dog runs, to ensure necessary maintenance occurs. Richard Khuzami has been an especially strong advocate for our cause, and as already mentioned, was in attendance at our most recent meeting. We were able to discuss with him recent developments, and he shared with us Old Astoria’s plan to provide (in collaboration with several other groups) a temporary dog run to serve the community while we work towards securing capital funds to build a permanent park. The group has very generously agreed to also donate water access. Although this solution certainly doesn’t eliminate the need to engage in the Participatory Budgeting process, nor the need to secure funds in an alternate fashion should we not receiving funding from the PB vote, it will ensure dogs have a safe, secure place to play while we develop a more permanent space. While capital projects can take years to come to fruition, this temporary park could provide an alternative to off leash hours much sooner. A capital investment (such as one from Participatory Budgeting) will still be necessary to ensure a permanent space will be available for dogs and dog parents in the long term, as the temporary park will neither have all desirable amenities, nor be built in a space that can permanently house a run. Please feel free to contact us if you would like more information on the difference between a temporary and permanent run, and why the temporary run cannot serve as the permanent solution to our problem, or if you have any other questions or comments about this process or partnership! Or, take a look at our group’s most recent minutes. 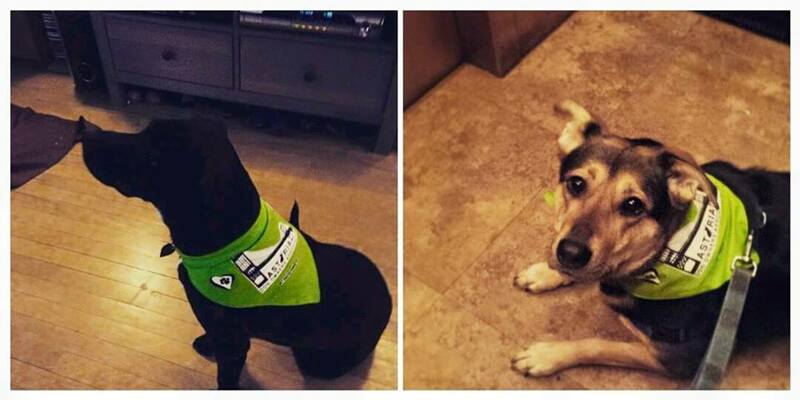 We look forward to continuing to advocate for the dog community in Astoria through 2015 and beyond!